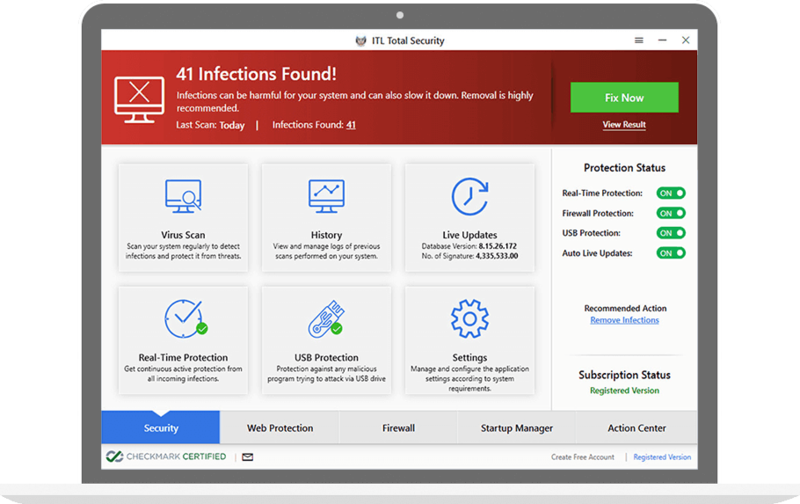 Get the best security and privacy features to keep your PC safe from malware infections like viruses, adware, spyware, ransomware and other unwanted items. West Coast Labs which is a global leader in testing and providing certification to information security products and services, has certified ITL Total Security with its prestigious Checkmark Certification. The certification conducts one of the most comprehensive testing to verify any product or service. To qualify the accreditation, the software security system must meet the stringent quality standards. 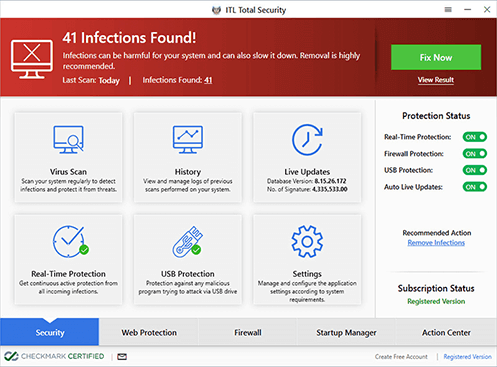 With high accuracy rate, enjoy strong malware protection and additional features that other antiviruses lack. Manage all startup programs on your system using the startup manager. This one makes it super easy to disable a program if you do not want to launch on startup. Run complete system scan, view and manage logs of previous scans, check for live virus definition updates and manage scanning requirements, all in one go. 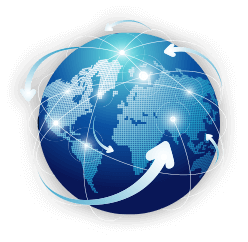 Secure your Internet use with real-time protection for your browser. Install safety add-ons to enjoy best-in-class online threat protection. 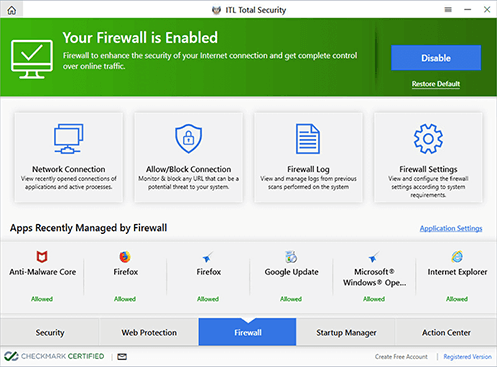 With functional and simple-to-use user interface, ITL Total Security has perfect scores in detecting and deleting both common threats and modern day malware infections. It does an excellent job of cleaning out threats that's already on your system. Now, scan your system for all types of malware infections, detect and remove them for free. 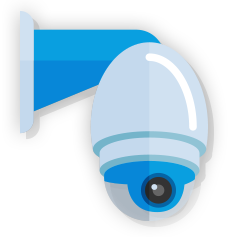 ITL Total Security constantly scans your system in real-time. The Real-Time Protection feature lets you block all incoming infections and keep your system protected at all times. Make your web browsing safer and smoother by installing the safety add-on on all your web browsers. Browse safely on all major web browsers viz. Google Chrome, Mozilla Firefox & Internet Explorer. 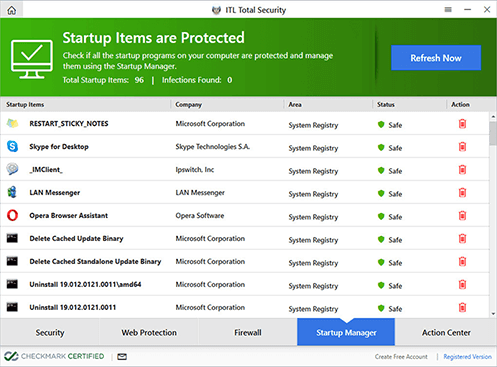 Get latest virus definition updates on your system to ensure optimal protection from the latest threats. Automatically detect latest updates, download and install them to protect your computer. 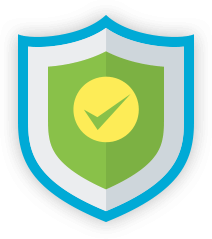 A single well-integrated package with award-winning antivirus features. Enjoy lightning speed scanning, comprehensive threat control, history management and more. Act NOW! Download the latest version of the antivirus program today. Copyright © 2018 itlantivirus.com - Online PC Protection. All Rights Reserved. Microsoft and Windows are trademarks of the Microsoft group of companies. itlantivirus.com is independent of Microsoft Corporation. All Other trademarks are the property of their respective owners. This is a fully functional free trial with a validity of 7 days. After the free subscription ends, only scanning will be done and you need to make a purchase to enable other features.